The Carlisle 156802 StorPlus™ square food container has an 8-quart capacity with molded-in capacity graduations to assist with inventory. 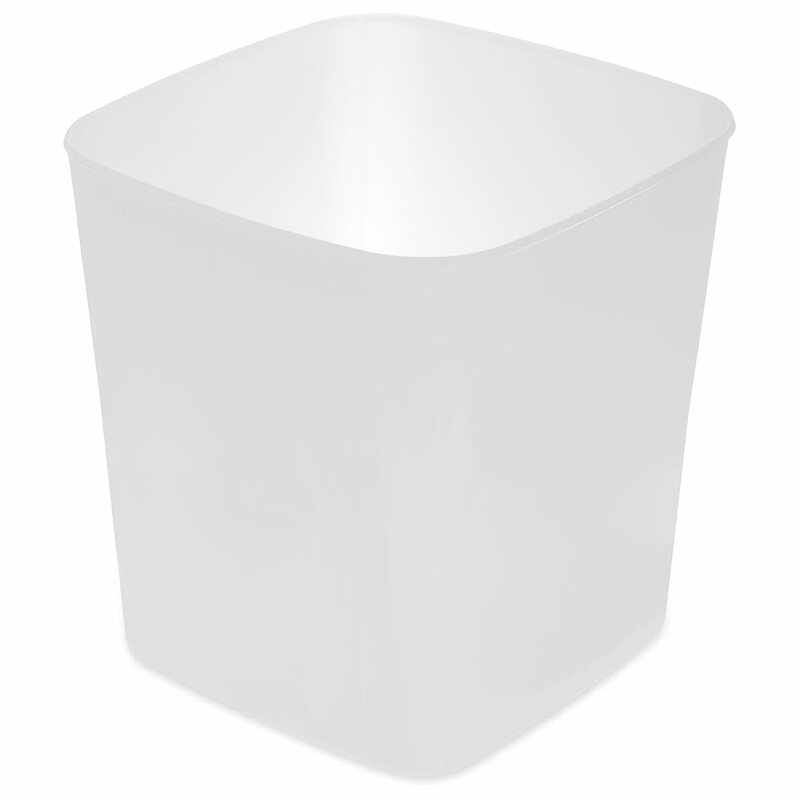 This container is made of polyethylene, offering durability to support commercial use. This material is safe in temperatures from 32 to 160 degrees Fahrenheit. 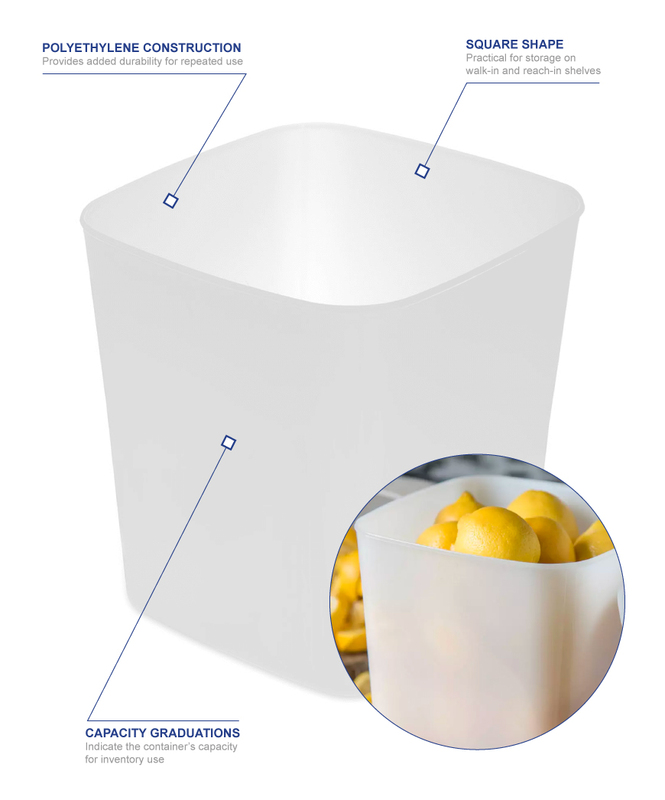 With the square shape, it fits well on shelves in walk-in and reach-in refrigerators. 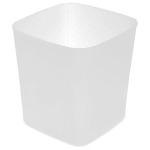 The white color of the Carlisle 156802 StorPlus square food container easily fits into most themes.